A prosecutor in Spain’s National Court has cast doubts over the ‘impartiality’ of Catalan judges to try former Catalan police chief Josep Lluís Trapero and other officers accused of contributing to the independence referendum, back in 2017. The prosecutor’s comments, made during a hearing on Tuesday to decide whether the National Court was fit to handle the case, were later rectified by the court’s head prosecutor, who stressed their ‘confidence in Catalan judges’. Spain’s High Court in Catalonia (TSJC) criticised the prosecutor’s words and said they were a ‘very serious’ attack against the judiciary and the constitution, as well as ‘extremely reckless’. Catalan police chief Josep Lluís Trapero, former interior ministry officials, Cèsar Puig and Pere Soler, as well as former police head, Teresa Laplana, are accused of putting the Catalan police, the Mossos d’Esquadra, ‘at the service of the plans for independence’. The prosecutor is calling for 11 years in prison for Trapero, Soler and Puig, who are charged with rebellion, and four years for Laplana, who is charged with sedition. 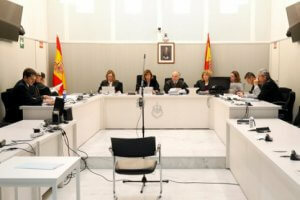 Tuesday’s pretrial hearing was demanded by Puig’s defense, who argue that the former officials should be tried in Spain’s High Court in Catalonia (TSJC). While the National Court is handling the case of Catalan police officers and interior ministry officials, major pro-independence politicians and activists will be tried in Spain’s Supreme Court.